Baby’s First Book of Euphemisms now available! Wisdom Vault is Proud to announce the release of Ray Lamb’s Bring This Song to Others! A once in a lifetime opportunity, only at NJ Gamer Con 2018. Come join the Seas of Kansas Open Beta. Sign up to receive a digital copy of the betatester’s guide or purchase a printed copy at our events. A revolutionary survival horror RPG from the creator of Dark Refuge and The Time Shredders. Players take on the role of Search and Rescue operatives heading into a modern city that has been flooded by rising waters. Their goal: recover a proprietary prototype, rescue a VIP, and get back out of the flooded city safely. Arrayed against them is a conspiracy of corporate goons (and their dangerous experiments), opportunistic mercenaries, and neo-nazis. With an exciting player-driven cover system, unlockable metaphysical abilities, and a team dynamic designed to empower the players to roleplay their characters to the max, you should be playing Seas of Kansas. And the only place you can get in on Seas of Kansas is at NJ Gamer Con and the only day to play Seas of Kansas live will be Saturday July 7th, so make sure to come down and play! Begin your day in style. Raid an Oblivate Industries laboratory to rescue a scientist, and learn the real truth behind the flooding in Seas of Kansas. But when the other experiments at the lab get loose, it will be a fight for survival against the horrors being weaponized by the corrupt corporation. After a successful mission into the bones of the city, your Search and Rescue team is stranded on the Inland Coast. Surrounded by polluted waters infested with sludge sharks, you must survive twenty four hours while a deadly storm batters the coastline. As the stress of the situation rises, some of your comrades begin experiencing strange metaphysical phenomenon. You and your team will have to figure out what threats are coming from outside, and what dangers come from within. Luckily for you, your team has the skills to survive. If you purchase a convention ticket to NJ Gamer Con and present it at our events, we will even hook you up with a free digital copy of the betatester’s guide as a gift for attending NJ Gamer con 2018. Indie Games Day 2017; Featuring Wisdom Vault’s new Game SEAS of KANSAS! Indie Games Day 2017; Where Gamers of all ages and backgrounds come to get their Game on! It’s an outdoor geek-out camp-arific event. Game all day then camp the night away! Wisdom Vault Products will be running demonstration games of our new game product SEAS of KANSAS! Try this unique gaming experience at Indie Games Day and get your betatester copy live at Indie Games Day 2017! -Treat everyone with respect and leave your beef at home. Come with love and fun in your hearts to make this a great and memorable event. Baby’s First Book of Euphemisms, the Perfect Gift! This cute, warmhearted, laugh-out-loud book is a satire in the style of the “Baby’s First” books we all grew up with. Combining full color pictures that could be appropriate for all ages, based on terms that are euphemisms and innuendo, this book will bring you joy. Perfect for expecting parents, newlyweds, and anyone stuck around children all day. A Great Gift for Baby Showers and Bridal Parties. 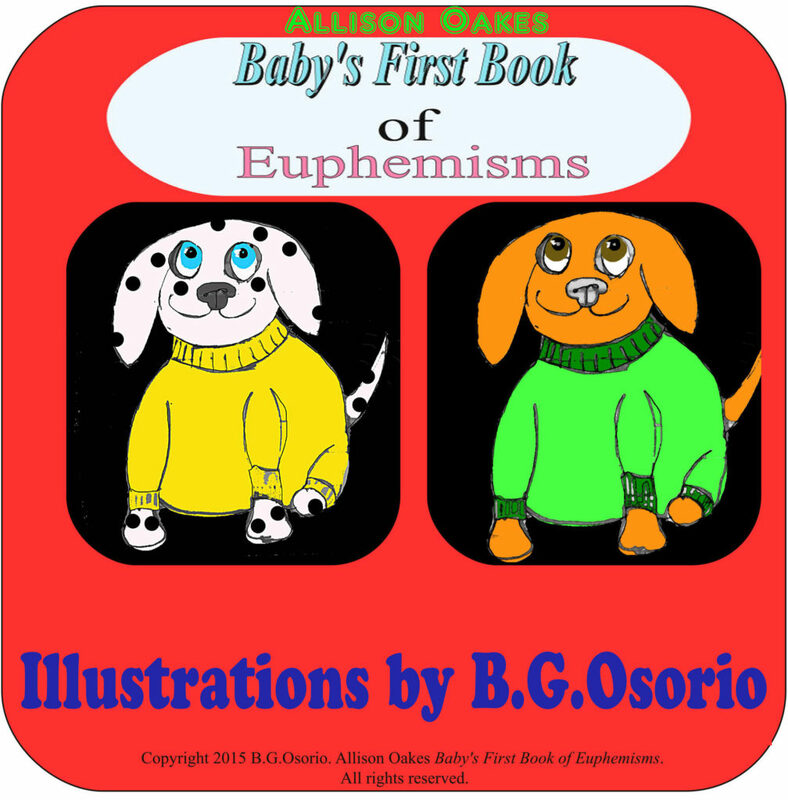 Wisdom Vault is proud to announce the release of Baby’s First Book of Euphemisms by our 2nd new author Allison Oakes. With cute and warm illustrations by B.G.Osorio, this book could sit on your baby’s shelf and no one would know its adult sense of humor. You could read it with a child in the room, and they would never know why you are laughing. Pick up your copy of Bring This Song to Others, Today! If you need a laugh, or are feeling that life is just a bit too oppressive for you, get a copy of Bring this Song to Others. Poetry, humor, with a side of naughty, raunchy perversion, Ray Lamb’s newest book will restore your faith in humanity and give you some new thoughts to bring up at the water cooler on monday. Wisdom Vault is proud to announce our first featured author, a poet and humorist ahead of his time, Ray Lamb. A moving work which may not be appropriate for all ages due to graphic language, sexual situations and drug references. Copyright 2014, All Rights Reserved Wisdom Vault.